Please join ISSA chapter members and other security professionals for Networking Affair! This networking affair/happy hour is held at Seasons 52 from 5:00 PM to 7:00 PM. This event is a great opportunity to become acquainted and interact with ISSA chapter members and other professionals. Come along and join ISSA chapter members and other security professionals at Seasons 52 for a lively happy hour! On March 22, 2018 the ISSA-KC Chapter members, and other security professionals will hold a meeting at BRIO’s Restaurant in Kansas City, MO, to network and attend the monthly chapter meeting, with presentation topic. Topic Summary: Most security operations team are facing alert tyranny with an endless number of notifications, false positives, and distractions causing important events to fall through the cracks. Critical Start will address how a Zero Trust architecture approach can help end alert tyranny by optimizing security operations through the principle of "never trust, always verify". With Zero Trust there is no default trust for any entity, regardless of what it is and its location on or relative to the corporate network. By definition, every access attempt by a user, device, and application must be verified. But with resource constraints for both budget and qualified personnel, zero trust can potentially create a mountain of work that a strapped security team can’t handle. We’ll discuss the benefits of a zero trust strategy and how it can help you identify and contain threats that traditional known good approaches miss. We’ll also explore options to apply this approach in an efficient manner that you can realistically support with a limited resources. We look forward to seeing you at the event. If you have any questions about the event or how to register, please email rsvp@kc.issa.org, or contact the venue for directions. Topic Summary:Our world is networked together, where companies and home users rely on networked systems and the data stored in them. 2018 will be a tipping point year as we all become more connected and influenced by new digital transformations. We will be presented new cybersecurity threats and landscape. Cybersecurity is one the most critical issues that will needed to be addressed, not ijust in the workplace but in our home lives as well. 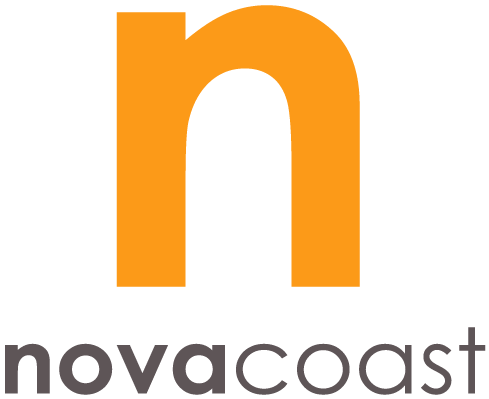 Bio: Mike Tyk leads the Security Advisory Services; for Novacoast. Security Advisory services assists client's with predicting, preparing , detecting, and responding to modern threats by increasingly sophisticated attack actors. He is a trusted advisor to Security and Technology executives, as well as a member of senior management to Novacoast's customers, where he provides incident readiness strategy, direction, governance, compliance, industry trends and threat landscape evolution. Assisting clients who require an experienced leader to step in and take charge of building a security program from the ground up and helping evolve existing security programs into their next stage of maturity. On December 15, 2017 the ISSA-KC Chapter members, and other security professionals will hold a meeting at Ritz Charles in Overland Park, KS, to network and attend the monthly chapter meeting, with presentation topic. Topic Summary: Briefing with our local FBI Liaison on Cyber Security Threats. The FBI’s Cyber Initiative and Resource Fusion Unit (CIRFU) maximizes and develops intelligence and analytical resources received from law enforcement, academia, international, and critical corporate private sector subject matter experts to identify and combat significant actors involved in current and emerging cyber-related criminal and national security threats. The presentation will provide in-depth information on collaboration and coordination criticality in combating cyber threats effectively. No audio or video recordings! This networking affair/happy hour is held at La Bodega, Leawood, KS from 5:00 PM to 7:00 PM. This event is a great opportunity to become acquainted and interact with ISSA chapter members and other professionals. 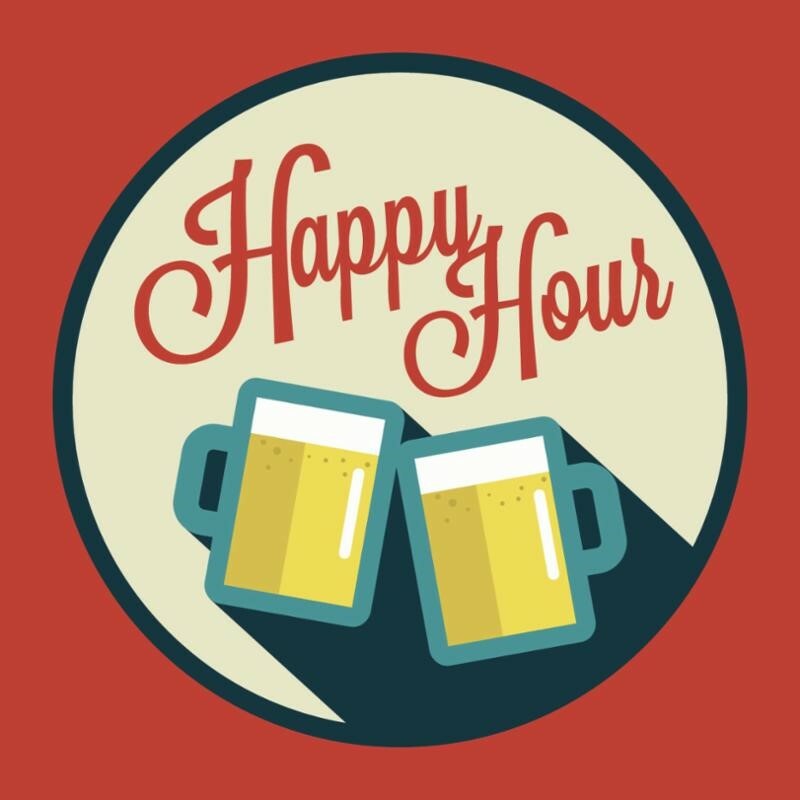 Come along and join ISSA chapter members and other security professionals for a lively happy hour! On September 28, 2017 the ISSA-KC Chapter members, and other security professionals will hold a meeting at Lidia’s Italy Restaurant in Kansas City, MO, to network and attend the monthly chapter meeting, with presentation topic. Co-Creator of the Wireless Aerial Surveillance Platform, an autonomous aircraft with onboard Wi-Fi, Bluetooth and Global System for Mobile Communications (GSM) penetration testing capabilities as featured on CNN’s “The Situation Room” and the November 2011 issue of Popular Science. Currently on exhibit at the International Spy Museum in Washington DC. On August 24, 2017 the ISSA-KC Chapter members, and other security professionals will hold a meeting at Hereford House in Leawood to network and attend the monthly chapter meeting, with presentation topic. Bio: Dave is a Certified Information Systems Security Professional (CISSP) with 20 years of experience and a Fellow with the Information Systems Security Association (ISSA). He has lead technology organizations in both the public and private sector. Prior to founding Integrity, he most recently was the Chief Information Security Officer for a leading health informatics company. He also managed an information security group for a top 5 U.S. banking organization, was the CIO for a higher education institution and served as the information security officer for one of the largest municipal governments on the east coast. Dave received his Bachelor of Science degree with a major in Computer Information Systems from Excelsior College. He has also taught and developed information technology curriculum at the post-secondary level. Dave is a published author and speaker at national conferences. He lives in the Des Moines, IA area with his wife and 4 children. Topic Summary: As the cybersecurity threat to financial institutions continues to grow, the FFIEC has released the Cybersecurity Assessment Tool to help institutions understand and rate their risk levels. This session will cover the basics of the tool, who should use it and how it can help institutions address cyber risk. We’ll also discuss what the tool will not do and what institutions need to do to fill in the gaps. On July 27, 2017 the ISSA-KC Chapter members, and other security professionals will hold a meeting at Brio's on the Country Club Plaza to network and attend the monthly chapter meeting, with presentation topic. Bio: Cyber security sales executive with extensive experience in network security, demand generation, partnering with the customer at all levels, learning new technology, top down selling and closing business in complex selling environments. Specialties: utilities, telecom service providers, wireless (3G / 4G LTE, WiMax, Small Cells, 802.11, Micro Networks) broadband, networking, cold calling, direct marketing, sales strategy, IP, multimedia, networks, outside sales, finding the decision maker, program management, sales development, teaching, negotiation, and Ethernet. Topic: Bypassing your network security – how likely is it? How likely is a breach to your network security? What’s the global view of network security today? Show the latest NSS Labs report on which vendors are doing the best with Zero Day threats and Malware. Evasions defined! What is Evador? On June 22, 2017 the ISSA-KC Chapter members, and other security professionals will hold a meeting at Lidia's in Kansas City to network and attend the monthly chapter meeting, with presentation topic. Caleb is the Director of Technical Operations at information security and risk management firm, Cino Security Solutions Ltd. and is currently the Director of Information Technology at Challenger Sports. He has 9+ years’ experience in security, has recently spoken at several Information Security conferences, and will have an article published in BoardRoom magazine next month. A student-at-heart, whatever time he has after work, family, and more work, he spends learning or teaching others. Summary: This presentation will cover SPF, DKIM, and DMARC records (public DNS) that help domain owners whitelist authorized senders, and allow them to specify what to do with emails that don't authenticate properly, as well as provide reporting on all emails sent on their behalf (including those sent fraudulently, which was previously not possible). Attendees will come away with a clear understanding of the importance of email authentication to prevent spoofed/fraudulent emails (protecting domain reputation) and reduce/prevent phishing certain phishing attacks. More resources will be made available so attendees can start taking action immediately. Menu:Pasta Tasting Trio - A sampling of three daily-made fresh and filled pastas. Biscotti Platters - An assortment of house-made cookies & sweets to pass and share family style. * *Vegetarian option available, please note at registration**. On May 25, 2017 the ISSA-KC Chapter members, and other security professionals will hold a meeting at Hereford House at Town Center Plaza to network and attend the monthly chapter meeting, with presentation topic. Discussion on Risk Management and the components of Security, Business Continuity and Compliance. We will discuss the definitions of what is included within Risk Management including Emerging Risk Register, how to determine Risk Impact, Probability and Severity. We will also demonstrate a quick example to show how all the components work together to form a final risk exposure value. This meeting will be more of a discussion than presentation, so be prepared to jump in with questions and comments. Speaker Bio: Jeff Blackmon is owner / operator of Strategic Continuity Solutions, LLC. He provides consulting services in the areas of Risk management, Business Continuity, Security Planning and Governance/Risk/Compliance (GRC). He has contracted with such companies as Presbyterian Healthcare Services, Bank of America, L-3 Communications, Library of Congress, SRA international, Midland Loan Processing and BDM International. He has also worked internationally at Saudi Arabia Marketing and Refining (SAMAREC) and at the Royal Saudi Air Force Headquarters located in Riyadh. He provided information to IT related web news organizations such as Computer World and has been quoted in such. His latest accomplishment was being chosen as one of the five finalists for BCI’s North American Award for Continuity and Resilience Consultant, 2015. Cheryl Cooper has over 20 years of privacy, education and information security experience, assists organizations of all sizes with their information privacy, security risk management, and regulatory compliance programs. Cheryl has a Master of Business Administration and a Masters in Criminal Justice with a pecialization in Cybercrime. She is currently a Network/IT Security Risk Manager with Sprint Corporation. Cheryl has experience as an Adjunct Professor teaching Business, Network Principles, and IT Security course curriculum. Knowledgeable of innovative, creative teaching and learning methodologies for post-secondary students. Before joining Sprint she was a member of the United States Navy. Over the course of her career she has been awarded many certificates of excellence. Naeem Babri has been ISSA-KC Chapter President since 2014 and is currently a Risk Manager with Sprint. His day to day focus is on risk assessments, information security, privacy, and SOX controls. He has been a member of the Corporate Security team for since 2011. He has been in Kansas City for some time and is active in local community. He has strong background in Security, Project Management, and IT Operations & Support. He holds a Master’s degree in Computer Resource Management and Bachelor in Mathematics and Computer science. Please join ISSA chapter members and other security professionals for Networking Affair/Happy Hour! This networking affair/happy hour is held at Seasons 52 from 5:00 PM to 7:00 PM. The event is a great opportunity to become acquainted and interact with ISSA chapter members and other security professionals. Come along and join ISSA chapter members and other security professionals at Seasons 52 for a lively happy hour! On April 27, 2017 the ISSA-KC Chapter members, and other security professionals will hold a meeting at Brio’s Restaurant on the Plaza to network and attend the monthly chapter meeting, with presentation topic. Bio: George has over 20 years of experience in information technology with the last 12 years in information security. After graduating from WUSTL with a B.S. in Electrical Engineering and minor in Computer Science, he started his career as a network engineer for Shell Oil and then went on to work for a number of tech start-ups including Livingston Enterprises (acquired by Alcatel Lucent, now Nokia), Redback Networks (acquired by Ericsson) and Anue Systems (acquired by Ixia, now Keysight Technologies). He also founded and self-funded his own tech-startup, RedDot Networks, which developed custom, FPGA-based appliances for application performance testing and security. George currently works for Synack as the South Central Regional Director. He is also a member for the advisory board for the Austin InfraGard Chapter, a mentor for the AFA CyberPatriot program and a member of the Capitol of Texas ISSA Chapter. Brief Description of Topic: Crowdsourcing has proven to be an incredibly effective way to undertake a task or solve a problem by leveraging the skills, diversity, creativity and scale of an open or private group of people on a local, regional or global basis. Given the shortage of information security professionals, crowdsourcing application security and penetration testing has been effectively adopted by countless organizations and government agencies, including the Department of Defense and Internal Revenue Service. This presentation will provide a brief history of crowdsourcing applied to various areas and then detail how it is applied to information security, specifically application security and penetration testing. On March 23, 2017 the ISSA-KC Chapter members, and other security professionals will hold a meeting at Lidia's Italy Restaurant in downtown Kansas City to network and attend the monthly chapter meeting, with presentation topic. Sam Abadir has over twenty years of experience helping companies realize value through improving processes, identifying performance metrics, and understanding risk. Early in Sam's career he worked directly with financial institutions and manufacturing companies to help them realize institutional value. As a Sr Manager at Deloitte he focused on improving processes and increasing value for Global 2000 companies. In the past five years, Sam has worked with software companies like LockPath to build the tools that help companies create and manage value in a structured and efficient manner. Please join ISSA chapter members and other security professionals at Hereford House in Leawood, KS, for our February chapter meeting. Cloud app & data security is a top priority for many enterprises. Whether securing data in the Office 365 suite, ensuring compliance in ServiceNow, verifying activities within DevOPS or getting control over shadow IT, information security leaders are exploring how Cloud Access Security Brokers can make an impact in their organizations. Join Kameron Klein, Sr. Systems Engineer and Chad Ray, RSM at Netskope, for a session on which use cases are challenging enterprises today and how a next generation CASB can solve for them. Kameron Klein - Kameron has been actively working in Information Security for more than 18 years. He has consulted for large financial institutions such as Discover Financial and JP Morgan Chase, Large Service Providers as well as many local and national organizations. Additionally, he has worked for several Technology manufacturers including TippingPoint/HP, Palo Alto Networks and currently works for Netskope, Inc.
Chad Ray - Chad Ray has had roles at technology manufactures for 20 years, as a Network & Security Solutions Architect and Mobile Security Specialist across organizations such as Cisco, Alteon, Bay Networks, Citrix and currently works for Netskope, Inc.
On January 26, 2017 the ISSA-KC Chapter members, and other security professionals will hold a meeting at Brio’s Restaurant on the Plaza to network and attend the monthly chapter meeting, with presentation topic. James has over 15 years of experience working in the Information Technology sector, with experience utilizing technologies from an administrative and managerial perspective. Currently, James works as an Enterprise Sales Engineer for InteliSecure, helping organizations architect solutions to safeguard critical data assets to prevent and detect data breaches. Previously, James was the Director of Information Security for WilcoHess, where he oversaw all IT Security initiatives including: strategy, PCI-DSS compliance, network and systems management as well as security architecture and governance. James is also a Certified Ethical Hacker with the EC-Council and holds a Network+ certification from CompTIA. His competencies include: IS Security, DLP, SIEM, Web/Email Gateways, Networking, network protocols, NIST, CEH, Windows OS, Linux OS, Firewalls, IDS/IPS.